Dust from the dirt road Todd Nash drove down did its best to mask the Wallowas off in the distance. The snowcapped mountain range beamed through the haze. 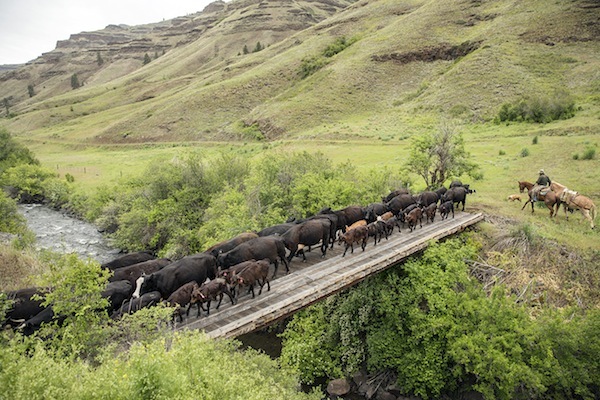 Cattle grazed alongside the narrow, gravel road leading through the 1,000-acre Mt. Joseph Ranch. This setting could be a scene from The Sound of Music. Sun sifted through the towering Ponderosa pines. Roadside weathered cabins built with axe-cut timber were once ranch-hand living quarters. Nowadays, the cabins are generally occupied by wedding parties or people looking to get away for a while. On this spring day, a curious humming bird was the only visitor to this dude ranch at the base of the Wallowas. Wearing a pristine pair of Wranglers and a plaid shirt tucked into them, this moment was a rare break from Nash’s ranch work. Still, the dirt that smudged his cream-colored cowboy hat and his dusted boots proved that Nash wasn’t far from his day-to-day. 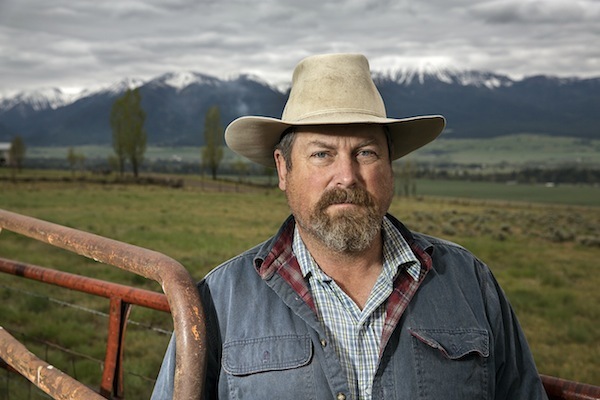 Throughout his twenty-one years of ranching, Nash has built relationships with eight surrounding landowners from whom he rents acreage to run his 800 head of cattle in Joseph, Enterprise and Imnaha. In a sense, he’s living out his father’s dream. In 1967, his parents vacationed in Joseph, just a few miles away from Enterprise. They knew at once they’d be back as soon as possible. When they returned to California, they put their house up for sale. His father, Lyman Nash, left a good job as the herdsman for the beef department at University of California Davis and moved the family to Enterprise. Then 5 years old, Nash didn’t think much of the move. Now, after having a family of his own, he realizes that his parents’ decision was courageous. As deliberate and calculated as Nash’s life is today, it was a lark that got him to this point. 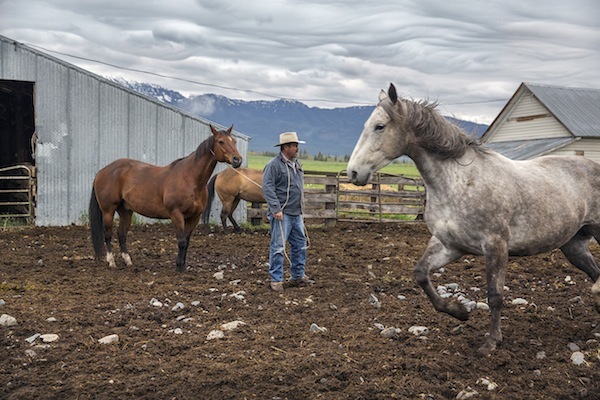 His father sent Nash and his mother to Enterprise a couple days ahead of the moving truck and the rest of the family to find them a place to rent with a pasture for their horses. One of the cats they brought with them was pregnant and had a litter of kittens in the back of the station wagon on the way north. They found a place to rent, and Nash (along with three of his four siblings) soon fell into a normal rhythm in Enterprise. His dad struggled to make ends meet as a cowboy. He supplemented his ranch jobs with logging work. 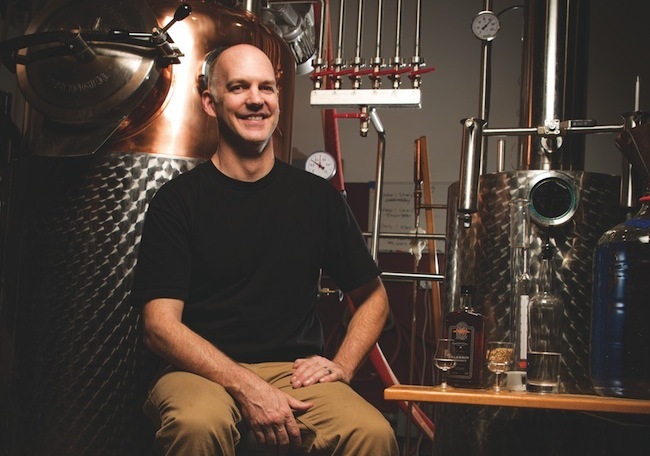 Nash saw a hard-worker who kept at it until Parkinson’s disease overtook him. None of this discouraged Nash from following his father’s footsteps in ranching. Though he had grown up around livestock, Nash wasn’t always destined to be a cowboy. After high school, he saw local guys coming back home to Joseph with new pickup trucks—the riches from working on the Trans-Alaska Pipeline System. He wanted in. Welders were in demand, and he already knew the basics. He decided to go to Linn-Benton Community College to get certified in welding. His first day at the college welding shop, however, would be his last. “It was kinda dark in there, and these guys lifted up the hoods of their welding helmets. None of them seemed very happy,” Nash said. Without venturing farther, Nash turned around and walked out. As a kid, Nash never excelled in 4-H or Future Farmers of America. Nonetheless, he’d always been involved with cattle. Even before moving to Enterprise, he had his own calf. Unable to shake his interest in ranching, Nash decided to return to Linn-Benton Community College, this time to study animal science. After graduating two years later, he went to work on a horse ranch in a small town in northern California. There he met a girl and got married. As a young rancher, life seemed good, but Nash couldn’t ignore the downsides of the job—low pay and long hours. 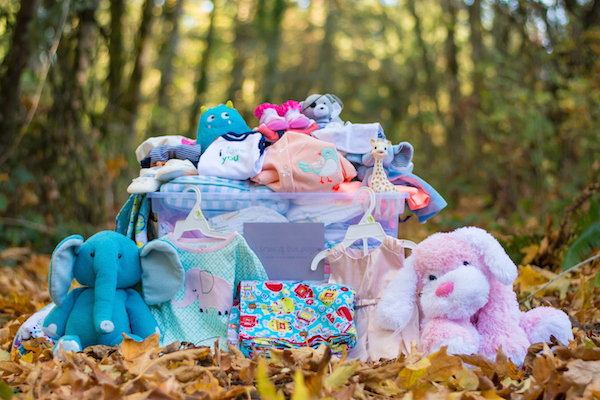 When the young couple was expecting their first child, the financial struggle became too much to bear. Though it seemed to him to be a prison sentence, he found a new job at the local sawmill. Unlike ranching, it paid well and was over at the end of each shift. Nash put in seven years at the sawmill before it shut down in the spring of 1994. “Overnight, my wages were cut in half and we didn’t have a lot of extra money anyway,” Nash said. 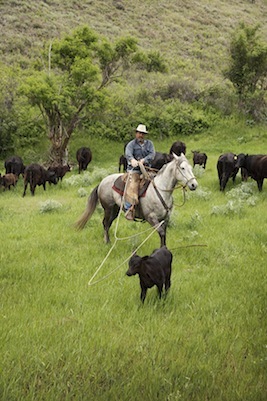 Nash went back to ranching, this time for the Marr Flat Cattle Company based in Joseph. 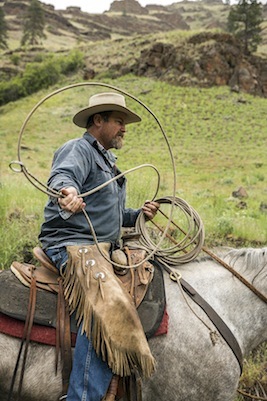 In 2003, the majority owner of the ranch was Don Buhler. Scott Shear, a part-owner of the ranch at the time, offered Nash the opportunity to go in as partners. They “bought” their way into the ranching life through sweat equity, running 1,000 head of cattle. This profession, however, was still lacking basic benefits. By the end of the year, Shear had not taken any time off, and the only day off for Nash came when he paid a friend $100 to take his place. He and his partner decided what they were doing wasn’t sustainable. “At the end of the year, we cleared $8,000 and we were exhausted,” Nash said. Nash is at his best and feels at home when he’s on horseback, herding cattle and the Wallowas are awash in sunlight around him. 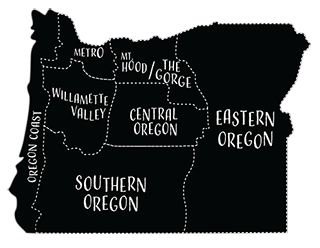 More often, though, the days are cold and the wind is relentless in northeastern Oregon. “I hear some people say, ‘Well the cold never has bothered me.’ Well, they’ve never had a job that required them to be out in it all day,” said Nash, recalling days pulling calves from birthing cows in below freezing temperatures. This year’s warm winter with little precipitation instead brings the threat of drought. “We should have gotten about five inches of precipitation since January, and we’ve gotten about an inch,” Nash said. 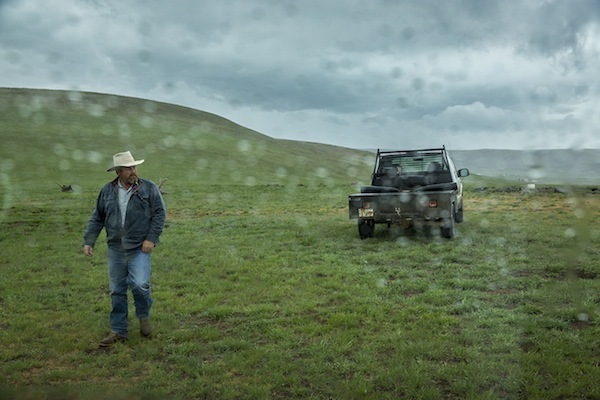 Weather and water are just two challenges for a working cowboy. There are many variables in herd management. Disease in the herd can strike and spread with little warning. The most common illness is a life-threatening respiratory disease. Nash takes care to vaccinate his herd against it, but the disease is formidable. One year, fifty head of his cattle came down with it and eleven died. Another year, he lost fourteen head after a lightning bolt hit a tree the cows were lying under. Nash’s life isn’t all heavy lifting. Over the years, he’s learned to be as much accountant as cowboy. “You can’t starve a profit out of a cow,” he quipped. Instead, he pours over budgets, constantly calculating ways to improve the efficiency of ranch operations. One currency of a rancher is his truck, the newer the better. The newest pickup Nash owns in an 11-year-old Ford F-350 that often breaks down, he said. Last year, his ranch hand, Cody Ross, confronted him about it. “Do you ever think about buying a new pickup?” Ross asked Nash. “I told him, ‘I think about it, and I think they’re too expensive,’” Nash laughed. 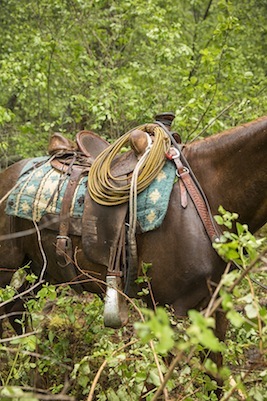 A bit of redemption came Nash’s way when his banker, Mark Coomer, visited the ranch during branding this spring and spent about five hours helping them. At one point, Ross told Nash, the banker said that out of all the ranches he has loans with, Marr Flat Cattle Company is the most efficient. While Nash thinks ranchers need a good education in animal science, he believes only experience can prepare you for calving in the dead of winter. Ninety percent of the cows do it all on their own, Nash said. But when things aren’t going right, it’s up to him to help the cow get through it. The bad experiences stick with him years longer than the good. When Nash was 16, he tried to help a heifer with her calf but it got stuck at its hips. By the time Nash and the veterinarian he called got the calf out, it was dead and the mother was paralyzed. For a couple weeks, he packed water and hay out to the heifer but eventually, his father told him it was time to put her down. “Those things are hard on you, and they should be,” Nash said. As a kid, Nash often heard people tell him that being a cowboy meant being broke. On the contrary, Nash thinks it’s a great time to be in the cattle business. 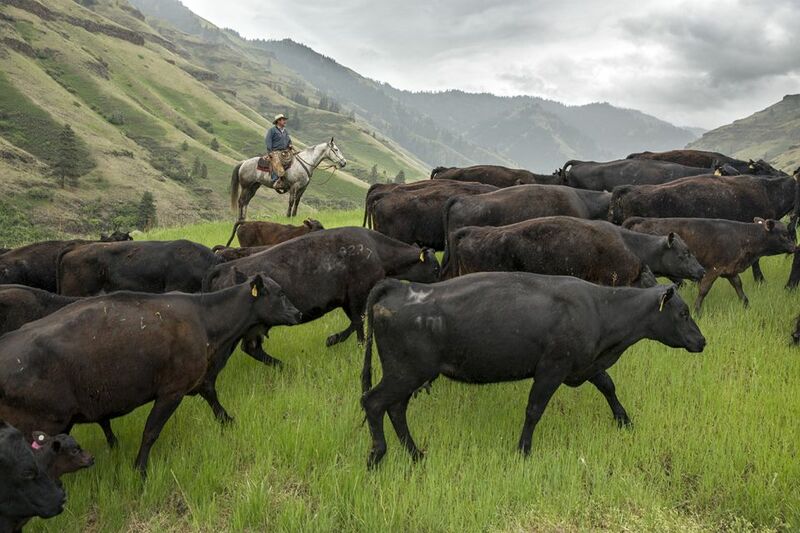 He noted that between 2013 and 2014, revenues for ranchers have jumped more than 40 percent in Wallowa County alone. Breaking into the business today, though, is more expensive. Two years ago, a rancher could buy a quality bred cow for $1,200. Last fall, the same cow would cost $3,000. Nash said prices are being driven by three factors: the cattle herd in the United States is the smallest it’s been since 1950, global sales have opened up through Japan and China, and domestic demand has increased. His operation processes cattle through the Tyson processing plant in Pasco, Washington. The meat is marketed as Painted Hills Natural Beef. The ‘natural’ label recognizes that Nash’s cattle aren’t given antibiotics or growth hormones. At the end of the day, Nash can’t imagine living anywhere else. When he does get away from ranching to visit his son Josh, 34, and his family in San Diego, California, he feels panicked by the rush of city life. “I always look at all the people there without cattle and wonder what motivates them to keep going,” Nash said. There are some years, nonetheless, he wishes he could take back. “If they had time off from school, they went with me and we worked. It wasn’t always fun,” Nash said. He remembers when his daughter, Adele, was just three and put in a 10-hour day with him sorting cattle. She was riding a full-sized horse by herself. “I’d holler at her to move one way or the other, and she was content to stay out with me all day. She never complained once,” Nash said. He thinks his four children, now grown, will go into ranching in some capacity, but probably not with Nash as their boss. At 52, Nash’s retirement plan is to keep working. He’d like to run 100, 200 or 300 cattle for the rest of his life. In November of 2013, one of his old ranching buddies, Henry “Hank” Bird, died at the age of 81. One of their conversations still sticks with him. What a wonderful story and what a gifted writer! I would like to thank Todd Nash and 1859 for telling this story. 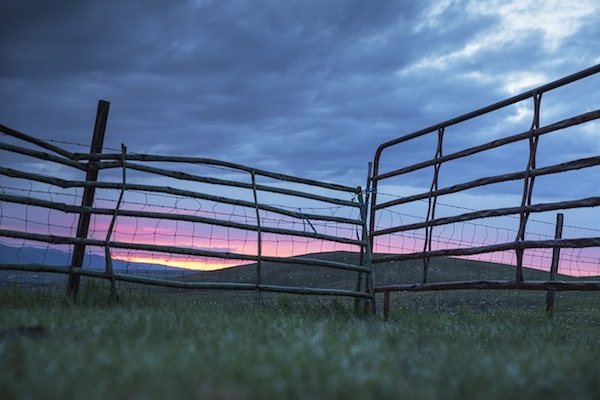 This story needs to be told more often to help those willing to consider what it means to be a rancher. Not everyone will listen or care, the value needs to be placed on those who do care and can be open to rural America. This was written very well. Todd is my cousin..and I would love to get the magazine tis article is in…anyone ??? please…I have not met Todd yet..one day tho…I did know his Dad and Mom..they celebrated their honeymoon at our farm in South Dakota those many years ago…I remember that so well..I was pre teen back then..and loved riding horse back..
Great article andca great place to run them. You are very Blessed to have stayed in your profession, with everything going on in this crazy mixed up world we live in and especially "Now" with Operation Jade Helm going into effect and the rest of the garbage the government is doing. I have always said we will someday go "back to basics" and it looks as if we are headed there this time around. Living and working on a ranch is extremely hard work but definitely so worth it…My ex and I did it for many many years taking care of large cattle/horse/hay ranches and raising the kids that way….I'm sure your kids will soon be home once Martial Law is put into play after July 15. Like they say, you can take the kids out of the country, but you can't take the country out of the kids, eventually they will turn around and go home! Just keep praying that is so! Would love to find a place up there in your country and get back to raising cattle, horses & hay! People don't realize how much more gratifying it is to be able to live and work a ranch and how much healthier it is! Thank you for this article, it's nice to know that there are still some Real Men out there that know first hand what real hard work is and Brave enough to tough it out. Soon enough, there will be more people having to learn the hard way and coming to you for advise on how to make a living by scratch when everything else around us shuts down! A well written description of a person who loves what he does and lives in heaven. 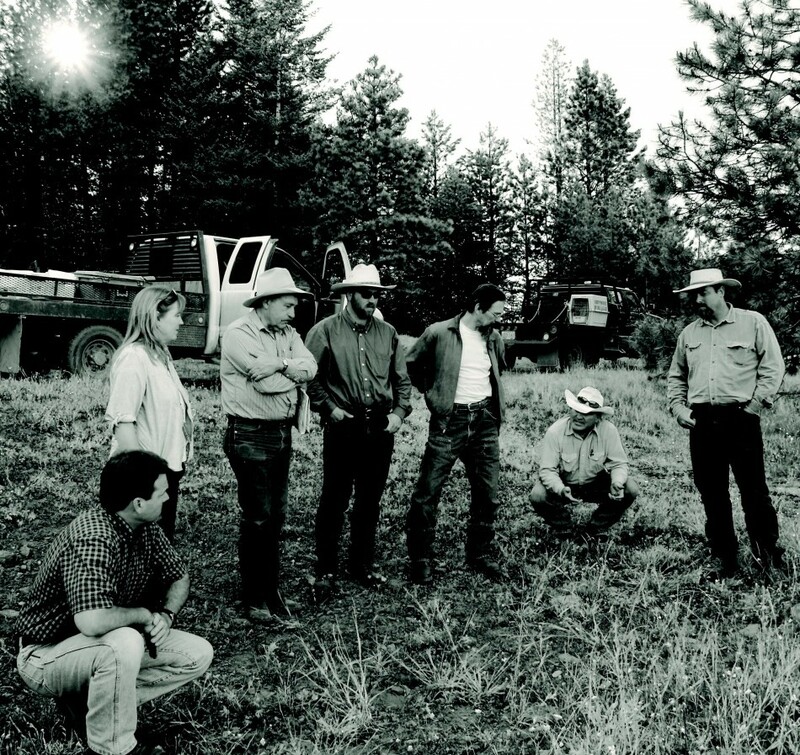 Awesome pictures and article, such a special tribute to ranching and Ranchers in Wallowa County. Behind every successful man is a woman and I know you are right there Angie!!!! !